Dallas, TX: Shopping Districts | Explore Dallas - Explore and Visit Dallas, go for official information on travel, accommodations, hotels, history, food, culture and the best shopping, clubs and cultural events. Travel Guide to Dallas. West End Historic District offers wide range of antique materials and some stuff for retro-lovers. Haven for boutiques and savvy shopping preferences are the West Village and Knox-Henderson while Greenville Avenue is for electric shops and fine restaurants perfect after the day’s shopping. The Highland Park Village, located on Mockingbird Lane at Preston Road and built during the early 30s, offers stylish high-end shopping with its exclusive fashion and sports boutique. It combines a combination of the past the verve for the future. The Village manages to keep its Spanish architectural design, like terra cotta roofs, intricate iron work and stucco walls, although it has been updated and modernized. They offer Gift cards which can be used like that of a credit card and holders can check their balance anytime. North Park Center houses more than 160 stores including a fabulous display of Ray Nasher’s sculpture collection. Enjoy tax free shopping for international shoppers by presenting original purchase receipts at selected participating stores in Texas, although they may require some documentation to process the refund. The Galleria is best for the serious shopper. Spend the entire day and you’ll discover the treasures on this dramatically glassed atrium. 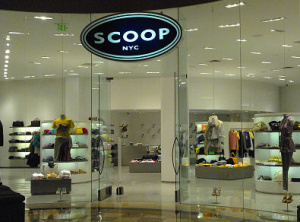 Find shops for Macy’s, Saks fifth Avenus, Gucci, Tiffany & Co., Nordstrom and Hugo Boss. It also houses five movie theatre, 28 restaurants and an impressive ice skating rink. It is located on Dallas Parkway which is approximately 12 miles from Fairmont Dallas. Neiman Marcus is one of most famous store in Dallas, setting up the standard to elegance and fashion. It has a museum at the fifth floor which tells the legend of ready-to-wear couture. Find Neiman Marcus just along the Main Street of Dallas. Stanley Korshak is an award-winning specialty store, which has the finest collection of clothing for men and women, shoes and cosmetics, exquisite linen boutique including bridal and jewelry salon. It is located at 500 Crescent Court. Recognized for its service tenants, supermarket and specialty fashion, The Royal Preston Village Shopping Centers houses Confetti Gift Superstore, Lester Melnick, Covins Furniture, and Tom Thumb. Vintage districts, elegant malls and streets filled with hundreds of stores make Dallas a great city and the best shopping hub.